You take a lot of pride in your lawn, so you want to make sure it's looking the way you want throughout the year. With the lawn care services from Jack's Lawn Care & More, you'll have a lawn you can be proud of and you'll save time because we're handling all the work for you! We do more than simply mow the grass in the summer. We will create a plan to keep your long looking good while making sure it is healthy for the future. 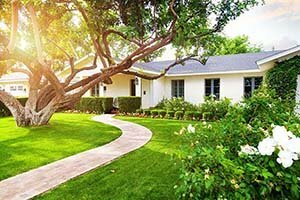 From regular maintenance to treatments at the beginning and end of the season, trust Jack's Lawn Care & More to give you the best lawn in the neighborhood. Mowing & Trimming grass to uniform length. Fertilizing to help grass grow stronger. Weed & Pest Spraying to keep plants looking healthy. De-Thatching to remove matted grass. Aeration: Small soil cores are removed from the top of the lawn to allow air, water and fertilizer to reach the root zone to encourage growth. Over Seeding: Increasing the amount of grass seed to give your lawn a fuller, healthier appearance. Fall Cleanup: We'll blow and rake any leaves onto your lawn, then mow your lawn and bag the leaves up so you're all set for winter. 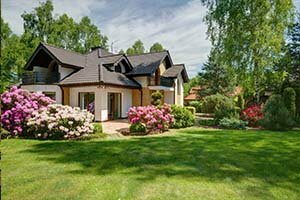 Spring Cleanup: Make sure winter's mess is cleaned up so your lawn is ready for the summer season.